accept : kabul etmek – ons. allow : müsaade etmek – I allow you to go to the cinema. ask : sormak – I ask my teacher a question. believe : inanmak – I do not (don’t) believe your words. borrow : ödünç almak – I borrow money from you every month. break : (broke-broken) kırmak – I break the window when I am not careful. bring : (brought-brought) getirmek – I bring you a newspaper everyday. buy : (bought-bought) satın almak – I buy some clothes for the summer. 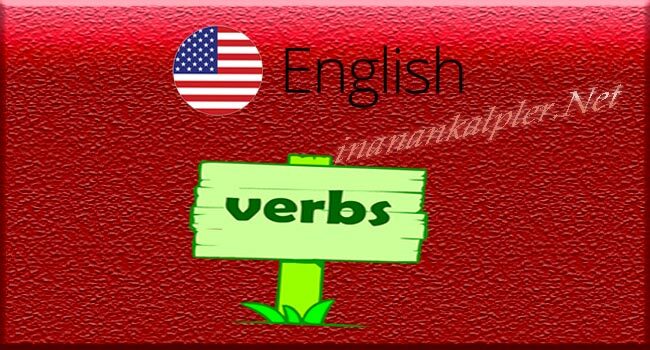 Can / be able : (could) (Y.F) yapabilmek – I can speak English. I am able to speak Eng. cancel : iptal etmek – I cancel our meeting on Monday. change : değiştirmek– I change my plans if there is a problem. clean : temizlemek – My mother cleans my room everyday. close / shut : (shut) kapamak -My secretary closes the door every morning. comb : taramak – My son combs his hair in front of the mirror. 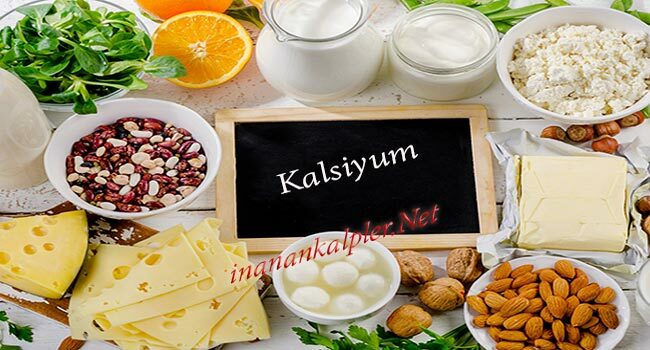 complain : şikayet etmek – Old people always complain about their health. cough : öksürmek – The students cough when they have cold. count : saymak – I count my money before I pay for something. cut : (cut-cut) kesmek – The waiter cuts the bread for his customer. dance : dansetmek – Young girls dance all night. draw : (drew-drawn) çizmek / çekmek – I draw money from the bank when I need it. drink : (drank-drunk) içmek – The runners drink a lot of water after the race. drive : (drove-driven) sürmek (vasıta) – My wife and I drive to Sapanca on Sundays. eat : (ate-eaten) yemek – We don’t eat red meat for dinner. explain : açıklamak – I explain everything in English. Fall : (fell-fallen) düşmek – Leaves fall from the trees in Autumn. fill : doldurmak – Please fill the glass with water. find : (found-found) bulmak – I find time to learn English everyday. finish : bitirmek /bitmek Do you finish your work late ? fit : (fit-fit) uydurmak I can not fit the screw in the hole. fix : tespit etmek We must fix an appointment for Sunday. fly : (flew-flown) uçmak Turkish Airlines fly to America every day. forget : (forgot-forgotten) unutmak I often forget names of my clients. give : (gave-given) vermek My father gives me money every wek. go : (went-gone) gitmek My friend and I go to the cinema every Sunday. have : (had-had) sahip olmak I have many friends at school. hear : (heard-heard) duymak We can hear the music because it’s loud. hurt : (hurt-hurt) incitmek You hurt me with these bad words. know : (knew-known) bilmek I know that the world is small. learn : öğrenmek We must learn all our lives. leave : (left-left) Terketmek/ayrılm. I leave home at 8 every morning. listen : dinlemek We must listen to wise people. live : yaşamak We can’t live a comfortable life without money. look : bakmak The young girl looks at the sky to see the stars. lose : (lost-lost) kaybetmek You should not lose time and learn English. make/do : (made- did-done) yapmak I do good things. My wife makes me coffee. need : Ihtiyaç hissetmek I need much money to start this business. open : açmak Please open the door when the teacher comes. organize : düzenlemek We organize a party every summer. pay : (paid-paid) ödemek We pay 100 dollars for our rent. play : oynamak We play football after school. put : (put-put) koymak I put my books on the table. rain : yağmak(yağmur) It rains in Istanbul very frequently. Read : (read-read) okumak We must read many books to learn. reply : yanıt vermek I don’t reply to telephone calls after 10o’clock. run : (ran-run) koşmak The athlete runs 100 meters in 10 seconds. say : (said-said) söylemek Don’t say rude words to your friend please. see : (saw-seen) görmek I can’t see any good reason for this behaviour. sell : (sold-sold) satmak My friend sells vegetables at the market. send : (sent-sent) göndermek We send letters to our friends in England. sign : imzalamak The manager signs many letters everyday. sing : (sang-sung) şarkı söylemek Italians can sing very well. sit : (sat-sat) oturmak I sit at my desk for many hours everyday. sleep : (slept-slept) uyumak Young children sleep for many hours. speak : (spoke-spoken) konuşmak We can speak many languages. spell : hecelemek Please spell this word for me. spend : (spent-spent) harcamak We can not spend much money. We are poor. stand : (stood-stood) Ayakta durmak You cant stand here. This is private area. start/begin : (began-begun) Başlamak/atmak The classes start on 28th February. study : çalışmak (ders) Please study you lessons to pass your exams. succeed : başarmak We must succeed in English to get a job. swim : (swam-swum) yüzmek All the children swim in this pool. take : (took-taken) almak Take this money and go now. talk : konuşmak Ahmet always talks on the phone . teach : (taught-taught) öğretmek I teach English to professionals. tell : (told-told) Söyle/anlatmak Tell me about your life please. think : (thought-thought) düşünmek I think Istanbul is an expensive city. translate : tercüme etmek We must translate this text into English. travel : seyahat etmek We travel across Europe every Summer. try : denemek We must try this car. turn off : Kapamak Turn off the television please. turn on : Açmak Don’t turn on the radio because I am tired. type : Tape etmek Can you type these letters please ? understand : (understood) Anlamak I understand everything very easily. use : Kullanmak We must use our time very efficiently. wait : Beklemek I wait for the bus every morning. wake up : (woke-woken) Uyanmak The students wake up very early every morning. want : Istemek I want more money. work : Çalışmak My teacher works very hard to earn more money. worry : Endişe etmek I worry about my girlfriend. write : (wrote-written) Yazmak The secretary writes many letters every day. Users Online: 9 │ 36 queries in 0,250 seconds.